TripAdvisor has revealed their list of the "Top 25 Water Parks in the World" in their 2018 Travelers’ Choice Awards, and we are proud to announce that Shipwreck Island in Panama City Beach has been ranked #13! TripAdvisor determines their winners based on millions of traveler reviews and ratings gathered over a 12-month period. It’s a truly non-biased, user-determined rating system that allows real people to have their voices heard. 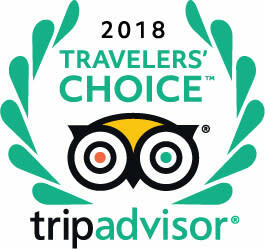 We’d also like to thank TripAdvisor for helping spread the word, because for about as long as they’ve been doing these rankings, they’ve been revealing to the world what a treasure we have in a destination and the local attractions right here in Panama City Beach, and that guidance is helping travelers have the beach vacation of their dreams.